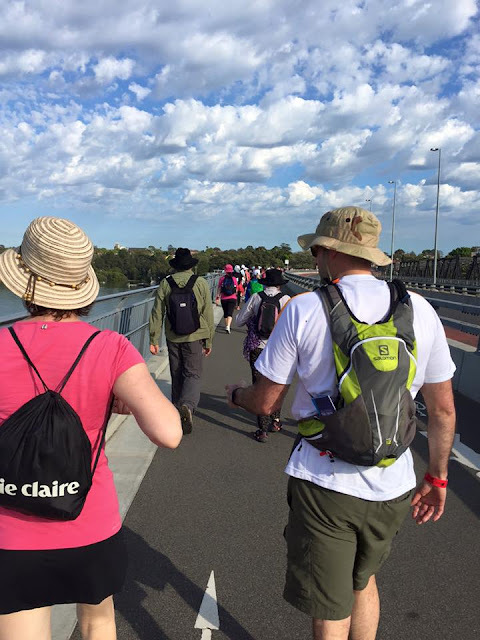 The Cancer Council Seven Bridges Walk is an annual event in Sydney. This year was it's 10th anniversary. 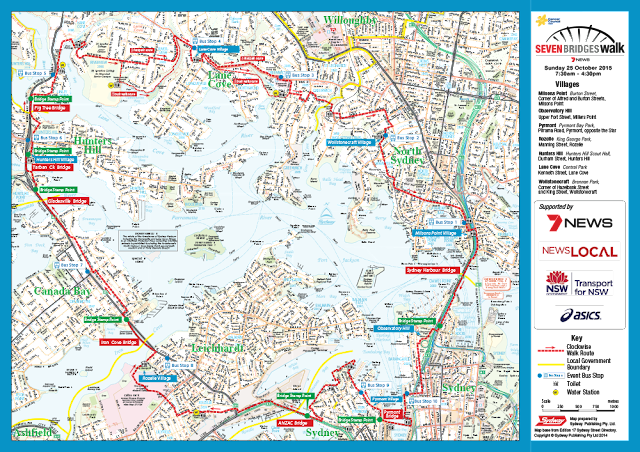 It's a 27 km walk around the bays, coves and by-ways of Sydney Harbour. 'Villages' are set up near each bridge. You can start your walk at any of these points. You simply collect your 'passport' to be stamped after you cross each bridge and visit every village. We picked up our passports at Rozelle Village around 7:30am and started off across the Iron Cove Bridge. It was a lovely 21℃. The Iron Cove Bridge is a steel truss bridge designed in the Art Deco style of the early 50's. In 2011 a second bridge was placed next to it to ease traffic congestion on Victoria Rd. It's this new section that the walkway is on. The Gladesville Bridge was the longest single span concrete arch ever constructed in its time (1964). The bridge was hot, open and dusty. But the views of Sydney Harbour and the Parramatta River through the palings were glorious. Tarban Creek Bridge, which spans the waters from Huntley's Point to Hunters Hill, was opened in 1965. Fig Tree Bridge spans the Iron Cover River from Hunters Hill to Linley Point. From here, it was a LONG walk to the next bridge. Fortunately it was through some of the most beautiful parks, reserves and waterways. After a long hot hike through Lane Cove, Greenwich, Wollstonecraft and North Sydney we finally reached the Sydney Harbour Bridge around midday. Underneath the Harbour Bridge is a lovely old pub called the Australian Heritage Hotel. We felt we had earned a beer or two and a plate of hot, salty chips! Underneath the Pyrmont Bridge at Darling Harbour. Spanning Cockle Bay, this steel swing-span bridge was once one of the main ways out of the city into the inner west suburbs (along with the old Glebe Island Bridge). It was closed to traffic in 1981 and is now only a pedestrian bridge. Last but not least, was the Anzac Bridge. It is the longest cable-stayed span bridge in Australia. It replaced the old Glebe Island swing Bridge in 1995. You can still see the old bridge permanently open for water traffic, but closed to cars and pedestrians, underneath the walkway as you cross the Anzac bridge. I could almost see home from here! 27 km's, 7 bridges, 2 nature reserves, 1 wetlands, 2 aquaducts and 1 pub & it only took 7 hours. I was a little teddy tired by the time I got home and gratefully soaked in a warm radox bath! But it was worth every step (and aching muscles the next day). I hope to do it again next year. What a fantastic achievement. I bet you were a bit tired, but proud of yourselves at the end. I love such activities. 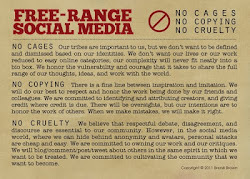 Great account of yours! Great pictures! We're in the midst of some terrible winter rainstorms here, so seeing your (almost) summer weather is making me very, very jealous! What a great day out- that looks so fabulous, I will have to do that one year. I love that you stopped off at the pub.